As you may have already noticed, there is quite a bit of content on this website. 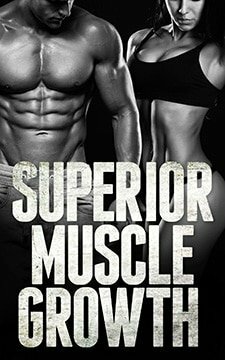 Tons of free articles, free workouts, free diet guides, programs, recommendations and more to help you lose fat, build muscle, gain strength, get lean, be healthier and simply look and feel awesome. And at first glance, trying to figure out where to begin might be enough to make your head explode. But hey, I have good news! I’m here to help prevent your head from exploding. (You’re welcome.) To do this, I’m going to help you find exactly what you need and clearly lay it all out for you. Kinda like a little website tour, so to speak. Do you need a weight training workout? One that is designed for your specific goals, needs, preferences, experience level and schedule? If so, I’ve written a completely free step-by-step guide to creating your ideal weight training workout routine. Do you need help setting up the diet plan that will be most ideal for your specific goals, needs and preferences? A fat loss diet? Or a muscle building diet? Or just an overall “healthy” diet? If so, I’ve written a quick and easy 9-step guide to creating your ideal diet. If you are a beginner to weight training, and you’re looking for a workout routine that puts everything together for you based on what has been proven to work best for beginners, I have you covered. If you are past the beginner stage and would like to build any amount of muscle as effectively as possible, my intermediate workout routine puts everything together for you. 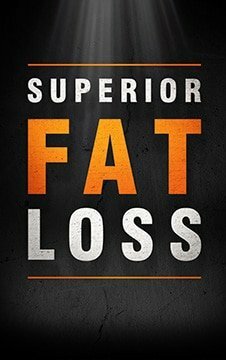 If you’re looking for a program that eliminates the guesswork, research and experimenting involved in figuring out how to adjust every major and minor aspect of your diet, workout and lifestyle to produce the best fat loss or muscle building results possible, then definitely feel free to check out Superior Fat Loss and/or Superior Muscle Growth. If you like what you’ve seen here, chances are you’re going to like the new (free) content I will continue to put out on a regular basis. To ensure you never miss a new article, program or guide of some sort, I’d highly recommend subscribing. This way, whenever I put out something new, you’ll get a quick email letting you know. As a bonus, I’ll also send you a copy of The 9-Step Diet Checklist for free as a thank you for subscribing. To subscribe, just click here and enter your best email address. If you’re looking for more information about me specifically, check out my “about” page and my answers to the Frequently Asked Questions. And if you have any other questions, comments or feedback, or you just need some help finding what you’re looking for, feel free to contact me here.